Affordability, durability and quality. 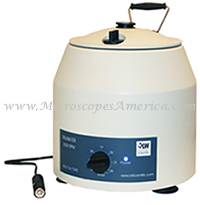 Economical Test Tube Centrifuges designed to fit any budget. Spin urine, blood and fecals with our angled test tube centrifuges. We offer models for almost any application. LW Scientific 8 place Fixed Speed Angled Rotor Centrifuge, E8F. 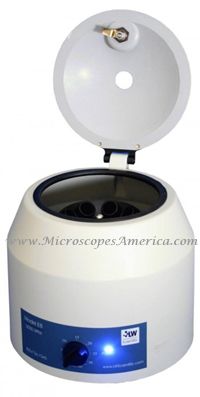 The 8-place E8 centrifuge is an economical fixed speed centrifuge designed to fit any budget. 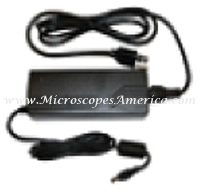 This unit accommodates most test tubes from 3ml - 15ml. The wide stance eliminates wobble, while the suction-cupped feet prevent slipping. The brushless motor (110V only) is virtually maintenance-free and the lid port allows easy viewing and teaching of specimens while in use. 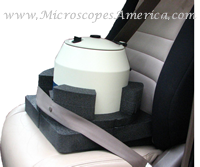 Choose from 2 different models to meet your laboratory separation needs. 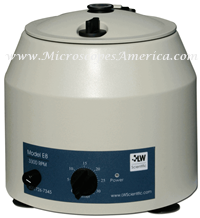 LW Scientific 8 place Variable Speed Angled Rotor Centrifuge, E8V. LW Scientific 8 Place Fixed Speed Angled Rotor Portable Centrifuge, Porta-Fuge.